January, cold January…. As I stare down another long, bitter cold, horrid and dark January, my thoughts turn to the kind of food that nurtures my tummy and soul, brightens my mood, soothes my senses. When I ask myself what’s soothing on a gray winter day, I picture tucking into deep bowl of soup or dal rice. First thing I reach for is comfort food when the weather turns bitterly cold in the depths of British winter. And who can blame me for this when the central heating at home is on full blast and air-conditioning unit in office don’t seem to get over the fact that it’s no more summer. For most of us comfort food has three characteristics- it offers a substantial hit of carbos; it is never over-flavoured, neither bland nor too spicy/sweet; and it is always easy to eat without much fuss. From the time I got back from my trip I seem to have spent most of last two weeks feeling miserable, homesick and continuously struggling with my work deadline. Ultimately it’s comfort food that sooths my nerves and hugs me in its warmth as it touch my lips and spreads its warmth to my soul. Yes, lately I have been cooking comfort foods. I am not talking about some high calorie sins here. I am cooking and eating simple, traditional, no-fuss food which I crave for. It’s a food which takes me on a virtual tour to back home where I see little 6 something me eating holding small balls of rasam/dal rice in my little chubby fingers and eating it while listening to stories. These small balls of rasam/dal rice with ghee, “Kai Thuttu" as we call, was given by Amma would taste heavenly in spite the fact that it was just every day food. It’s mother’s love that transferred this common food to something extra ordinary. It’s one experience which every one of us will treasure for rest of our life. Even now in my mid 20’s I never spare a chance of eating Kai Thuttu when I am at home with my Amma. Apart from simple Dals and Rasams one such dish which I strongly believe falls into comfort food zone is Rajma-Chawal. Delicious Red Kidney Beans simmered in creamy and aromatic onion-tomato gravy lightly touched with right spices served with a steaming bowl of basmati rice is special favourite of mine for seeing off the winter blues. Rajma is one dish where you hardly need to sweat out in front of the stove yet unbelievably the end result is one lip smackingly delicious meal. When ever I cook some lentil/pulses I follow slow cooking method where the pulses are simmered in gravy for long hours to blend in all the flavour. One thing to remember when you go for slow cooking method is to use heavy bottomed pan or utensils so that the gravy doesn’t stick to the bottom of the pan. If you own an earthen pot then you will sure to experience another dimension of taste. With little stirring here and there this Rajma recipe is simple to nothing and it is sure to please everyone’s taste buds. I'm sending this comforting bowl of Rajma to Susan of The Well Seasoned Cook who has asked us to cook with beans/pulses for her My Legume Love Affair and Meeta of What's for Lunch Honey who is hosting MM-Comfort Foods. How can I say no to these lovely ladies!!! Hope you girls enjoy it. If using soaked kidney beans, cook the beans in pressure cooker with little salt and enough water for about 15 minutes till it is cooked. Heat ½ tbsp of oil in a pan and add ginger, garlic and onion pieces to it. Sauté it for about 1-2 mins till onion turn translucent and raw smell of ginger garlic is gone. Add chopped tomatoes or canned tomatoes and sauté it for about 2 minutes. Switch off the flame and let the onion-tomato base cool down a little. Once cooled take onion-tomato base, cardamom, cinnamon and cloves in a blender and grind them to smooth paste. Heat ½ tbsp of oil in a heavy bottomed pan and add cumin seeds and hing. When jeera starts to crackle transfer the ground mixture to the pan and give a good stir. Cook on a medium flame for about 3-4 minutes. Add cooked/canned Rajma, chilli powder, amchoor/anardaana powder, kasuri methi and salt to taste. Mix 1-2 cups of water and reduce the flame. Cook cover in low flame, stirring occasionally for about 20-30 minutes till all the flavours blend well. This slow cooking gives creamy texture to the gravy as well as great taste. Serve hot Rajma garnished with coriander leaves with steaming bowl of Basmati Rice or Roties and enjoy. Substitute Rajma with White Kabuli Channa or Black Channa with Potatoes and follow the same recipe for different flavour. Add greens like Spinach/Palak, Methi/Fenugreek leaves to add more green intake. Your blog looks wonderful. You chose such a perfect name - Monsoon Spice. Both so very Indian. You've described the concept and meaning of comfort foods so well! And love your choice of comforting meals. Rajma-chawal is my favorite too :). Now give me some :-D.
Ahhh...the pleasures of rajma...I too love simmering it...seems to continue for ages...not that I mind :-)...welcome back. hey, darling, meeta's theme this month is comfort food. for me comfort food is bread. rajma on the side would be awesome. Sigh!! comfort food! I have so many!hehehe! I haven't even tasted it yet, but I see amchoor, fenugreek leaves and cardamom. I want to swoon. Thank you for this beautiful recipe, Sia. It would indeed be a comfort from the cold. I've never had kidney beans this way before and will definitely try it. This year, I have resolved to eating a lot of simple foods. I have a few dishes I refer to as comfort food and dhal, rice and achar is most definitely there, perhaps as number 1. 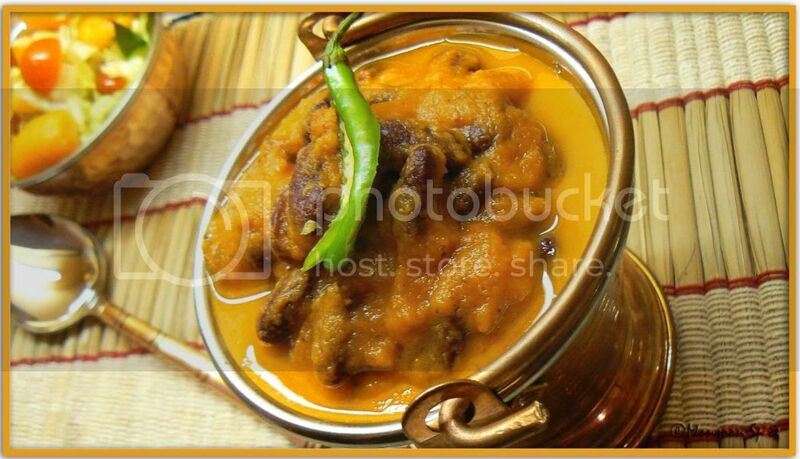 If you know the theme for MM of Meeta is comfort food , you can send it for that ,right now ! I love Rajma, this humble and little tasteless beans are too good for health too , thanks for sharing the recipe. I will try it soon. perhpas you would like to take part in the ongoing theme on my blog . You really make me wanna go into the comfort zone by eating this lovely simple dish. I just adore them. Good to see you back and hey i bought so many fresh veggies yest so my cooking spree starts from tomorrow!! thank u and warm welcome to my corner anjali. glad to have u here. cynth darling... thats my #1 comfort food too. 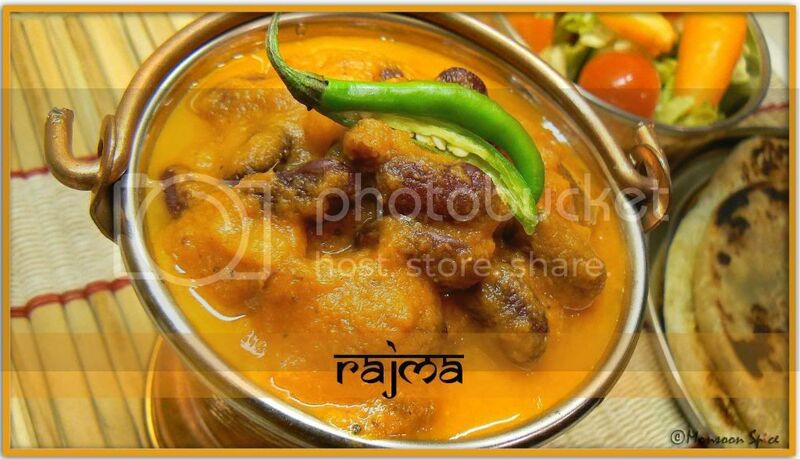 and if u haven't tried rajma then i would highly recommond u to try it soon. its one dish i cook every month and still cant get enough of it. 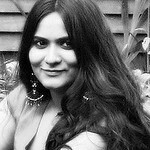 so good to see u resume blogging poo:) u were missed. yes, i have sent it to meeta. thank you. I like them to have with chapattis. Amazingly beautiful pics!, loved your description too!! you can also send this to , my legume love affair event. just check out this. I like rajma curry.i tried once using my own recipe.but it doesn't seem so tasty.This time will try this one. sankranti wishes to u and ur family. Rajma is perfect for the winter.. and slow cooking must've given a great flavour. The food that one's mom prepares with love always tastes great even if it's as simple as rasam and rice. wow sia, rajma looks sooooooo tempting.So beautiful pics.. did miss your post.hope you had a great vaccation in india. The way you described id very nice and its a pleasure reading though! Lovely lovely sia...great to have you back..looking forward to that wayanadu pictures too! Thanks for dropping by at my blog. Just the kidney beans and rice is a favourite meal for lots of us during lunch-break from the office. Instant energy and satisfying ! But your recipe is great :-) as are the pics. Namaste Sia! Rajma are to me the most perfect comfort foods I know. I love your recipe and the pics make the rajma look so creamy! Thanks for sending this perfect dish to the MM! Rajma -chawal ,my fav and great pic ,just look the colour of the gravy ,amazing ..
thanks for stoping by at my place . so how was like reading Kite Runner ,these day I hear about this book a lot here in Kolkata ..
i like the new look of Monsoon ,gives u a soothing smell of rain ..oh!! Ah, sweetie I love rajma-chawal too. Think of it, there are so many comfort foods!!! Hi Sia, your recipes are always soothing! Nice picture. I tried your rajma recipe and it came out awesome. Just wanted to give you the credit for it. Thanks so much. I tried your rajma recipe and it was awesome. Thanks so much. Hi Sia, how have you been? Congrats on your anniversary. Today for lunch I tried this Rajma and it was amazing. Actually I saw this in HappyCook's site when she had posted it last week and I also wanted to make it because I have only used kidney beans in soups. I have not prepared Rajma before. It was so creamy. The only change I made was, I added a handful of mashed kidney beans to make it thick because I added more water I guess. The taste was so good. Thanks for the simple yet delicious recipe. Don't Learn Safety by Accident!